Monies raised in the United Way of Dickinson's annual fundraising campaign and fundraisers are put to use in programs right here in Stark, Dunn, and Billings counties. In addition to funding programs at partner organizations, UWofDickinson runs several community-wide initiatives. 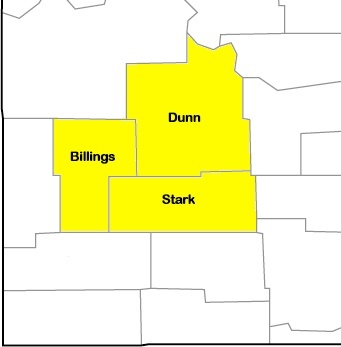 We serve Stark, Dunn, and Billings counties. Our management and fundraising overhead costs are just 5% of our expenses and that is covered by the generous donations of our Corporate Sponsors whose partnership allows 100% of individual donors' donations to go to local programs. We do pay a 1% fee to United Way Worldwide but recoup those funds through training and advertising that they provide in return.